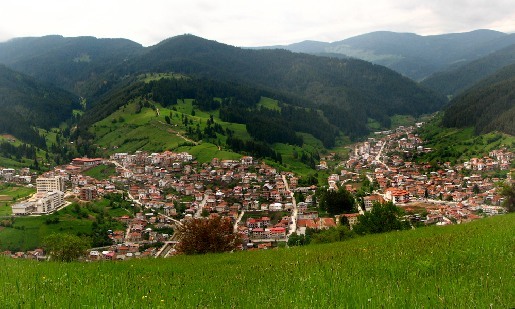 The town of Chepelare is located in the central part of the Rhodope Mountains, the course of Chepelarska River, at an altitude of 1150 m above sea level on the territory of 375 square meters, 230 km from Sofia, 80km from Plovdiv, 22 km from Smolyan and 10 km from the resort Pamporovo. City of Chepelare is one of the most cities with a long history of skiing. Favourable mid-continental climate with a very pronounced influence of the middle Black Sea, the ancient massifs of pine and spruce trees, the ecological environment, well developed infrastructure and create conditions for tourism, recreation and funny moments during the whole year. If you decide to take a journey into the heart of the Rhodope Mountains, then get ready to get under the magic influence of their great beauty. 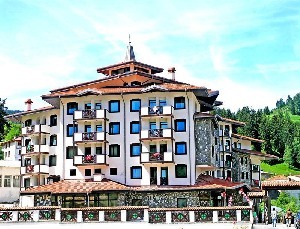 City of Chepelare is a town with tradition and long history of skiing. Today Chepelare - a resort that meets their tourist tracks length of 20 km. Old trails and facilities renewal and marked according to European standards. One of the main routes in the center - for beginners "red" - long 3250 meters, it is equipped with a modern way in Bulgaria's system of artificial snow. Ski "green" Thrace to know how to skate, a length of about 6 km. For athletes and snowboarders and red - difficult "trail with deep snow and a length of 1,2 km. In the location of winter sports lovers, a modern 4-person lift, the distance from the town of Chepelare to peak "Mechi Chal" - 2700 m runs for 9 minutes. 4 gondola type, 3 chair-lifts and 9 drag-lifts.